We have some delicious competitions this year with fabulous prizes to win! How SWEET! Register and raise $50 before January 31, 2019, and be entered to win a Hoover Spotless Portable Carpet and upholstery cleaner. Bake your cupcakes and take their selfie with the National Cupcake Day Selfie Frame! 3. 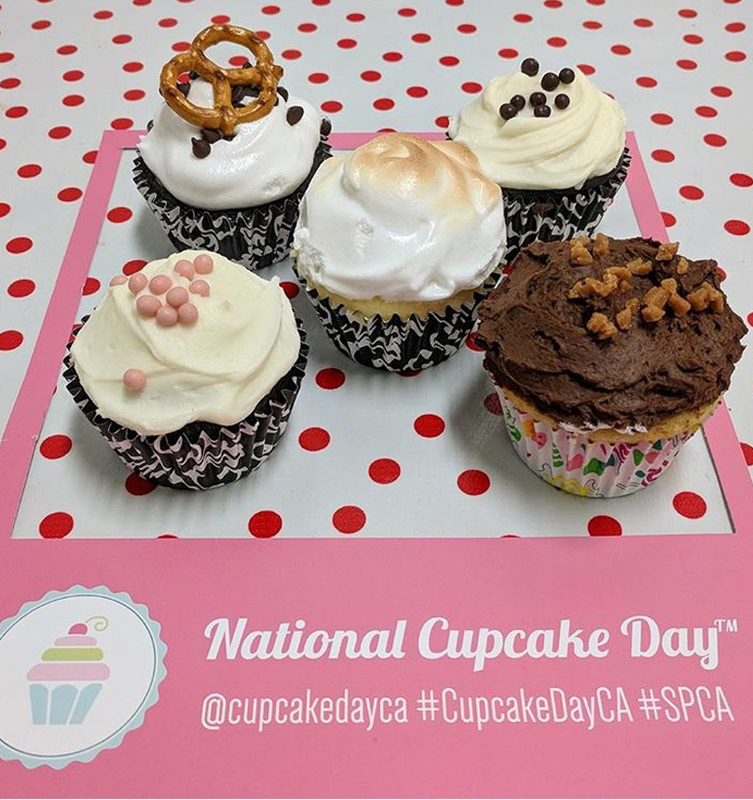 Post to social media with the hashtag #CupcakeDayCA to be entered into the contest and you could win something sweet! As a thank you for making a $25 donation to Crusoe’s personal fundraising page between February 1st and February 14th you will be entered for a chance to win a Crusoe Cupcake prize pack! 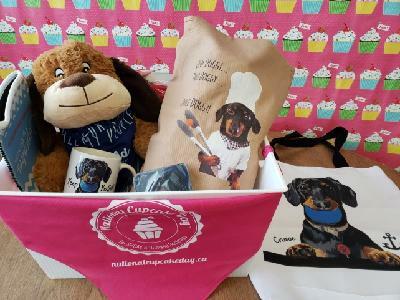 This prize includes some PAWESOME swag from Crusoe like an apron, coffee mug, set of coasters and a tote bag, along with some SWEET cupcake gear including an oven mitt, whisk, NCD doggie bandana, and MUCH more! Don’t forget to follow us on Facebook and Instagram for more flash contests! Check out our rules and regulations here.